Fab Five Live Single Access Pass: Oct 9 - Get That Course Online! 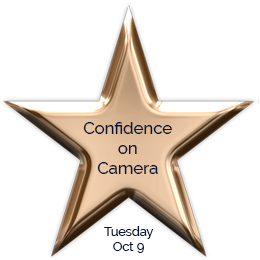 Book here to get access to the Fab Five Live webinar: Confidence on Camera on Tuesday October 9. The webinar streams live between 7-8pm, and you will have access to the replay for four months – plenty of time to catch up and implement. This is a paid webinar, which means there’s no sales pitch, just a full hour of valuable content. Your link to join will be emailed within 24 hours of your booking. Want to save £££s by booking the All-Access Pass for just £99 + VAT? Get all Fab Five Live webinars at 50% off!